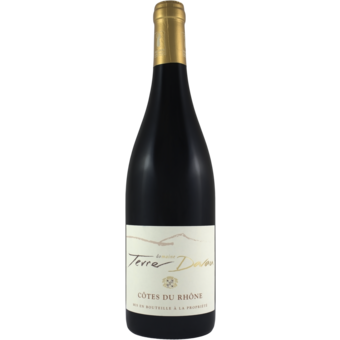 This organic Côtes du Rhône from La Roque Sur Cèze, a beautiful village in Gard region, about 20 minutes drive from Tavel, delivers delicious pure fruit with delicate touches of spice and earth for the perfect every day Southern Rhône wine. Grapes are picked by hand at this small, 13 ha domaine owned by Florian André’s mother, Marilyne Garnier Leperchois. 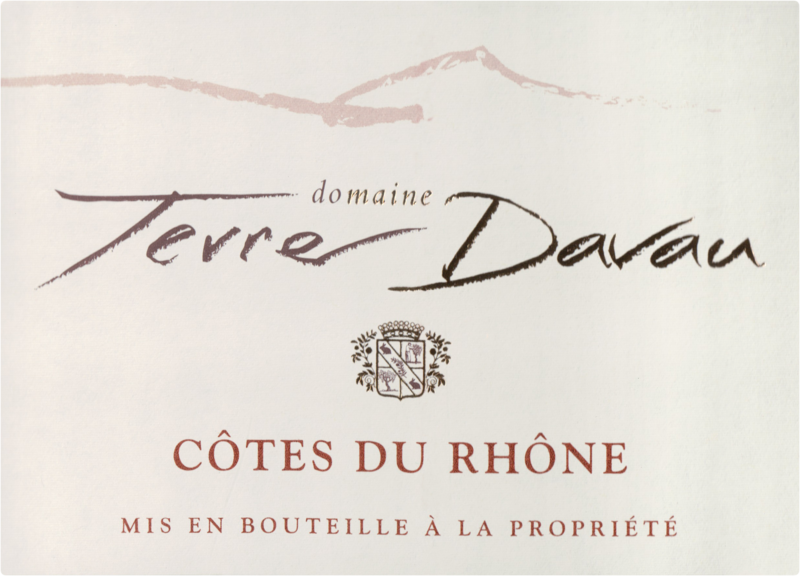 The name Terre Davau comes from the old medicinal plant used to cure liver pain named Davau, as it grows where the domaine is located in La Roque sur Cèze. Starting with the 2013 vintage, this CDR is made by the talented Florian André of Chateau de Manissy, making this completely a family enterprise. Organic viticulture for 15 year, biodynamic since 2009, entirely hand-harvested fruit of 45% Grenache, 45% Syrah, 10% Cinsault.